The other day I went to Logan's and had a drink called the Strawberry Stormy. It was so yummy that I decided to make my own version but with a little twist to it. This is what I'm calling an adult strawberry lemonade. It has some similar ingredients of that drink: strawberries & ginger ale but that is where the similarities end. I am using Bacardi Limon run instead of Sailor Jerry's spiced rum. I am also added fresh lemon juice for the lemonade effect. Side note: I learned the hard way when they say use fresh juice by all means USE FRESH. The store bought is too tart & kills the taste of any good drink. Combine all the ingredients in a shake until mixed well. In the glass I served it in I put another 1/2 cup of strawberries and a lemon wedge. 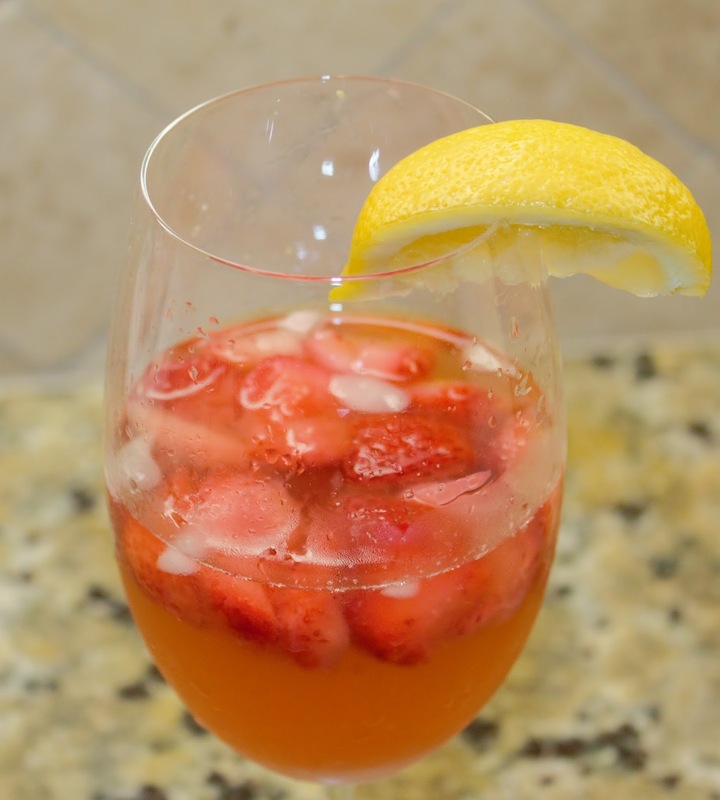 This drink is great for an afternoon hanging on the patio or a girls night.